"Mandaean" redirects here. For the ethnoreligious group, see Mandaeans. "Mandean" redirects here. For the language family in West Africa, see Mande languages. Mandaeism or Mandaeanism (Arabic: مندائية‎ Mandāʼīyah) is a gnostic religion:4 with a strongly dualistic cosmology. Its adherents, the Mandaeans, revere Adam, Abel, Seth, Enos, Noah, Shem, Aram, and especially John the Baptist. The Mandaeans are Semites and speak a dialect of Eastern Aramaic known as Mandaic. The name 'Mandaean' is said to come from the Aramaic manda meaning "knowledge", as does Greek gnosis. Within the Middle East, but outside of their community, the Mandaeans are more commonly known as the Ṣubba (singular: Ṣubbī) or Sabians. The term Ṣubba is derived from the Aramaic root related to baptism, the neo-Mandaic is Ṣabi. In Islam, the "Sabians" (Arabic: الصابئون‎ al-Ṣābiʾūn) are described several times in the Qur'an as People of the Book, alongside Jews and Christians. Occasionally, Mandaeans are called "Christians of Saint John". According to most scholars, Mandaeaism originated sometime in the first three centuries AD, in either southwestern Mesopotamia or the Syro-Palestinian area. However, some scholars take the view that Mandaeanism is older and dates from pre-Christian times. The religion has been practised primarily around the lower Karun, Euphrates and Tigris and the rivers that surround the Shatt-al-Arab waterway, part of southern Iraq and Khuzestan Province in Iran. There are thought to be between 60,000 and 70,000 Mandaeans worldwide. Until the 2003 Iraq war, almost all of them lived in Iraq. Many Mandaean Iraqis have since fled their country because of the turmoil created by the 2003 invasion of Iraq and subsequent occupation by U.S. armed forces, and the related rise in sectarian violence by Muslim extremists. By 2007, the population of Mandaeans in Iraq had fallen to approximately 5,000. The Mandaeans have remained separate and intensely private. Reports of them and of their religion have come primarily from outsiders: particularly from Julius Heinrich Petermann, a scholar in Iranian studies, as well as from Nicolas Siouffi, a Syrian Christian who was the French vice-consul in Mosul in 1887, and British cultural anthropologist Lady E. S. Drower. There is an early if highly prejudiced account by the French traveller Jean-Baptiste Tavernier from the 1650s. The term Mandaeism comes from Classical Mandaic Mandaiia and appears in Neo-Mandaic as Mandeyānā. On the basis of cognates in other Aramaic dialects, Semiticists such as Mark Lidzbarski and Rudolf Macuch have translated the term manda, from which Mandaiia derives, as "knowledge" (cf. Aramaic: מַנְדַּע‎ mandaʻ in Dan. 2:21, 4:31, 33, 5:12; cf. Hebrew: מַדַּע maddaʻ, with characteristic assimilation of /n/ to the following consonant, medial -nd- hence becoming -dd-). This etymology suggests that the Mandaeans may well be the only sect surviving from Late Antiquity to identify themselves explicitly as Gnostics. Other scholars[who?] derive the term mandaiia from Mandā d-Heyyi (Mandaic manda ḏ-hiia "Knowledge of Life," in reference to the chief divinity hiia rbia "the Great Life") or from the word (bi)mandi,:81:167 which is the cultic hut in which many Mandaean ceremonies are performed (such as the baptism, which is the central sacrament of Mandaean religious life). This last term is possibly to be derived from Pahlavi m’nd mānd ("house"). 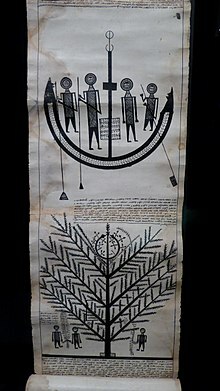 An 18th century Scroll of Abathur in the Bodleian Library, Oxford. According to the Mandaean text the Haran Gawaita, the recorded history of the Mandaeans began when a group called the Nasoreans (the Mandaean priestly caste as opposed to the laity), left Palestine and migrated to Mesopotamia in the 1st century AD. The reason given for this was their persecution by the community in Jerusalem in the course of which the city was destroyed as a punishment. The emigrants went first to Haran (probably Harran in modern day Turkey), and then the Median hills in Iran, before finally settling in the southern provinces of Mesopotamia (modern day Iraq). At the beginning of the Muslim conquest of Mesopotamia, the leader of the Mandaeans, Anush son of Danqa appeared before Muslim authorities showing them a copy of the Ginza Rabba, the Mandaean holy book, and proclaiming the chief Mandaean prophet to be John the Baptist, who is also mentioned in the Quran. This identified Mandaeans with the Sabians who are mentioned in the Quran as being counted among the Ahl al-Kitāb (People of the Book). This provided Mandaeans a status as a legal minority religion within the Muslim Empire. The Mandaeans were henceforth associated with the Sabians and the Jewish Christian group the Elcesaites, on account of the location of all three in Mesopotamia in the early centuries AD, and the similarities in their beliefs. The importance of baptism in the rituals of all three is particularly marked. Like the Mandaeans, the Sabians were also said to be gnostics and descended from Noah. Mandaeans continue to be identified with Sabians up to the present day, but the exact relationship between the three groups remains unclear. 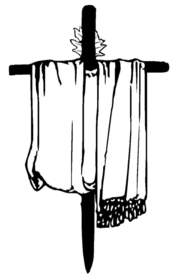 Mandaeans were called "Christians of Saint John" by members of the Discalced Carmelite mission in Basra during the 16th century, based upon their preliminary reports. [need quotation to verify] Some Portuguese Jesuits had also met some "Saint John Christians" around the Strait of Hormuz in 1559, when the Portuguese fleet fought with the Ottoman Turkish army in Bahrain. These Mandaean seemed to be willing to obey the Catholic Church. They learned and used the seven Catholic sacraments and the related ceremonies in their lives. A supreme formless Entity, the expression of which in time and space is creation of spiritual, etheric, and material worlds and beings. Production of these is delegated by It to a creator or creators who originated in It. The cosmos is created by Archetypal Man, who produces it in similitude to his own shape. Belief in astrology that Planets and stars influence fate and human beings, and are also places of detention after death. Great secrecy is enjoined upon initiates; full explanation of 1, 2, and 8 being reserved for those considered able to understand and preserve the gnosis. As noted above Mandaean theology is not systematic. There is no one single authoritative account of the creation of the cosmos, but rather a series of several accounts. Some scholars, such as Edmondo Lupieri, maintain that comparison of these different accounts may reveal the diverse religious influences upon which the Mandaeans have drawn and the ways in which the Mandaean religion has evolved over time. In contrast with the religious texts of the western Gnostic sects formerly found in Syria and Egypt, the earliest Mandaean religious texts suggest a more strictly dualistic theology, typical of other Iranian religions such as Zoroastrianism, Zurvanism, Manichaeism, and the teachings of Mazdak. In these texts, instead of a large pleroma, there is a discrete division between light and darkness. The ruler of darkness is called Ptahil (similar to the Gnostic Demiurge), and the originator of the light (i.e. God) is only known as "the great first Life from the worlds of light, the sublime one that stands above all works." When this being emanated, other spiritual beings became increasingly corrupted, and they and their ruler Ptahil created our world. The name Ptahil is suggestive of the Egyptian Ptah—the Mandaeans believe that they were resident in Egypt for a while—joined to the semitic El, meaning "god". The issue is further complicated by the fact that Ptahil alone does not constitute the demiurge but only fills that role insofar as he is the creator of our world. Rather, Ptahil is the lowest of a group of three Divine trinity, the other two being Yushamin (a.k.a. Joshamin) and Abathur. Abathur's demiurgic role consists of his sitting in judgment upon the souls of mortals. The role of Yushamin, the senior being, is more obscure; wanting to create a world of his own, he was severely punished for opposing the King of Light. The name may derive from Iao haš-šammayim (in Hebrew: Yahweh "of the heavens"). While Mandaeans agree with other gnostic sects that the world is a prison governed by the planetary archons, they do not view it as a cruel and inhospitable one. Mandaeans recognize several prophets. Yahya ibn Zakariyya, known to Christians as John the Baptist, is accorded a special status, higher than his role in Christianity and Islam. Mandaeans do not consider John to be the founder of their religion but revere him as one of their greatest teachers, tracing their beliefs back to Adam. Mandaeans maintain that Jesus was a mšiha kdaba "false messiah" who perverted the teachings entrusted to him by John. The Mandaic word k(a)daba, however, might be interpreted as being derived from either of two roots: the first root, meaning "to lie", is the one traditionally ascribed to Jesus; the second, meaning "to write", might provide a second meaning, that of "book"; hence some Mandaeans, motivated perhaps by an ecumenical spirit, maintain that Jesus was not a "lying Messiah" but a "book Messiah", the "book" in question presumably being the Christian Gospels. This seems to be a folk etymology without support in the Mandaean texts. Likewise, the Mandaeans believe that Abraham and Moses were false prophets, but recognize other prophetic figures from the Abrahamic religions, such as Adam and his grandson Anuš (Enos), as well as Nuh (Noah), his descendants Syam, (Shem) in Bible and Ram (Aram) in Bible. The latter three they consider to be their direct ancestors. Mandaeans consider the Holy Spirit in the Talmud and Bible, which is known in Mandaic as the Ruha d-Qudsha, to be an evil being. The Mandaeans have a large corpus of religious scriptures, the most important of which is the Ginza Rba or Ginza, a collection of history, theology, and prayers. [need quotation to verify] The Ginza Rba is divided into two halves—the Genzā Smālā or "Left Ginza", and the Genzā Yeminā or "Right Ginza". By consulting the colophons in the Left Ginza, Jorunn J. Buckley has identified an uninterrupted chain of copyists to the late second or early third century. The colophons attest to the existence of the Mandaeans or their predecessors during the late Parthian Empire at the very latest. The oldest texts are lead amulets from about the third century AD, followed by magic bowls from about AD 600. The important religious manuscripts are not older than the sixteenth century, with most coming from the eighteenth and nineteenth centuries. Although the Ginza continued to evolve under the rule of the Sasanian Empire and the Islamic caliphates, few textual traditions can lay claim to such extensive continuity. Another important text is the Haran Gawaita which tells the history of the Mandaeans. According to this text, a group of Nasoreans (Mandean priests) left Judea after the destruction of Jerusalem in the first century CE, and settled within the Parthian Empire. Other important books include the Qolusta, the canonical prayerbook of the Mandaeans, which was translated by E. S. Drower. One of the chief works of Mandaean scripture, accessible to laymen and initiates alike, is the Mandaean Book of John ( Lidzbarski, Mark. "Das Johannesbuch der Mandäer". Giessen : Töpelmann. ), which includes a dialogue between John and Jesus. In addition to the Ginza, Qolusta, and Draša, there is the Dīvān, which contains a description of the 'regions' the soul ascends through, and the Asfar Malwāshē, the "Book of the Zodiacal Constellations". Finally, there are some pre-Muslim artifacts that contain Mandaean writings and inscriptions, such as some Aramaic incantation bowls. The two most important ceremonies in Mandaean worship are baptism (masbuta), and a mass for the dead or 'ascent of the soul ceremony' (masiqta). Unlike other religions, baptism is not a one-off event but is performed every Sunday, the Mandaean holy day. Baptism usually involves full immersion in flowing water, and all rivers considered fit for baptism are called Yardana (after the River Jordan). After emerging from the water, the worshipper is anointed with holy oil and partakes of a communion of bread and water. The ascent of the soul ceremony can take various forms, but usually involves a ritual meal in memory of the dead. The ceremony is believed to help the souls of the departed on their journey through purgatory to the World of Light. A mandī (Arabic: مندى‎) is a place of worship for followers of Mandaeism. A mandī must be built beside a river in order to perform maṣbuta (or baptism) because water is an essential element in the Mandaeic faith. Modern mandīs sometimes have a bath inside a building instead. Each mandi is adorned with a darfash, which is a cross of olive wood half covered with a piece of white pure silk cloth. The cross bears no relation to the Christian cross. Instead the four arms of the cross symbolise the four corners of the universe, while the pure silk cloth represents the Light of God. Mandaeans believe in marriage and procreation, and in the importance of leading an ethical and moral lifestyle in this world. They also place a high priority upon family life. Consequently, Mandaeans do not practice celibacy or asceticism. Mandaeans will, however, abstain from strong drink and red meat. [T]hose amongst the community who possess secret knowledge are called Naṣuraiia—Naṣoreans (or, if the emphatic ‹ṣ› is written as ‹z›, Nazorenes). At the same time the ignorant or semi-ignorant laity are called 'Mandaeans', Mandaiia—'gnostics.' When a man becomes a priest he leaves 'Mandaeanism' and enters tarmiduta, 'priesthood.' Even then he has not attained to true enlightenment, for this, called 'Naṣiruta', is reserved for a very few. Those possessed of its secrets may call themselves Naṣoreans, and 'Naṣorean' today indicates not only one who observes strictly all rules of ritual purity, but one who understands the secret doctrine. There are three grades of priesthood in Mandaeism: the tarmidia "disciples" (Neo-Mandaic tarmidānā), the ganzibria "treasurers" (from Old Persian ganza-bara "id.," Neo-Mandaic ganzeḇrānā) and the rišamma "leader of the people". This last office, the highest level of the Mandaean priesthood, has lain vacant for many years. At the moment, the highest office currently occupied is that of the ganzeḇrā, a title which appears first in a religious context in the Aramaic ritual texts from Persepolis (c. 3rd century BCE) and which may be related to the kamnaskires (Elamite <qa-ap-nu-iš-ki-ra> kapnuskir "treasurer"), title of the rulers of Elymais (modern Khuzestan) during the Hellenistic age. Traditionally, any ganzeḇrā who baptizes seven or more ganzeḇrānā may qualify for the office of rišamma, though the Mandaean community has yet to rally as a whole behind any single candidate. In 2009, there were two dozen Mandaean priests in the world, according to the Associated Press. The Mandaeans have been identified with several groups, in particular the Sabians and the Elkasaites. Other groups such as the Nazerences and the Dositheans have also been identified with the Mandaeans. The exact relation of all these groups to one another is a difficult question. But they do share many common beliefs, in accordance with other ancient Middle Eastern religions such as Yazdaism[dubious – discuss] and Judaism, such as belief in a formless deity, reincarnation and rejection of meat or red meat either completely or during religious times. While it seems certain that a number of distinct groups are intended by these names, the nature of these sects and the connections between them are less than clear. At least according to the Fihrist (see below), these groups seem all to have emerged from or developed in parallel with the "Sabian" followers of El-Hasaih; "Elkasaites" in particular may simply have been a blanket term for Mughtasila, Mandaeans, the original Sabians and even Manichaeans. The Quran makes several references to the Sabians, who are frequently thought to be Mandaeans. Sabians are counted among the Ahl al-Kitāb (People of the Book), and several hadith feature them. Arab sources of early Qur'anic times (7th century) also make some references to Sabians. Some scholars hold that the etymology of the root word 'Sabi'un' points to origins either in the Syriac or Mandaic word 'Sabian', and suggest that the Mandaean religion originated with Sabeans who came under the influence of early Hellenic Sabian missionaries, but preferred their own priesthood. The Sabians believed they "belong to the prophet Noah"; Similarly, the Mandaeans claim direct descent from Noah. Al-Biruni (writing at the beginning of the 11th century) said that the 'real Sabians' were "the remnants of the Jewish tribes who remained in Babylonia when the other tribes left it for Jerusalem in the days of Cyrus and Artaxerxes. These remaining tribes ... adopted a system mixed-up of Magism and Judaism." The Elkesaites were a Judeo-Christian baptismal sect which seem to have been related, and possibly ancestral, to the Mandaeans (see Sabians). The members of this sect, like the Mandaeans, wore white and performed baptisms. They dwelt in east Judea and Assyria, whence the Mandaeans claim to have migrated to southern Mesopotamia, according to the Harran Gawaiṯā legend. In the Fihrist ("Book of Nations") of Arabic scholar Al-Nadim (c. 987), the Mogtasilah (Mughtasila, "self-ablutionists") are counted among the followers of El-Hasaih or Elkesaites. Mogtasilah may thus have been Al-Nadim's term for the Mandaeans, as the few details on rituals and habit are similar to Mandaeans ones. The Elkesaites seem to have prospered for a while, but ultimately splintered. They may have originated in a schism where they renounced the Torah, while the mainstream Sampsaeans held on to it (as Elchasai's followers did)—if so, this must have happened around the mid-late 1st millennium CE. However, it is not clear exactly which group he referred to, for by then the Elkesaite sects may have been at their most diverse. Some disappeared subsequently; for example, the Sampsaeans are not well attested in later sources. The Ginza Rba, one of the chief holy scriptures of the Mandaeans, appears to originate around the time of Elchasai or somewhat thereafter. According to the Fihrist of ibn al-Nadim, the Mesopotamian prophet Mani, the founder of Manichaeism, was brought up within the Elkesaite (Elcesaite or Elchasaite) sect, this being confirmed more recently by the Cologne Mani Codex. Unfortunately, none of the Manichaean scriptures has survived in its entirety, and it seems that the remaining fragments have not been compared to the Ginza Rba. Mani later left the Elkasaites to found his own religion. In a comparative analysis, Mandaean scholar Säve-Söderberg indicated that Mani's Psalms of Thomas were closely related to Mandaean texts. This would imply that Mani had access to Mandaean religious literature, or that both derived from the same source. The Haran Gawaita uses the name Nasoreans for the Mandaeans arriving from Jerusalem. Consequently, the Mandaeans have been connected with the 4th-century Nazarenes described by Epiphanius. Epiphanius says (29:6) that they existed before Christ. That is questioned by some, but others accept the pre-Christian origin of this group. They are connected with the Samaritan group the Dositheans by Theodore Bar Kōnī in his Scholion. Official numbers estimate that the current population of Mandaeans numbers between 60,000 and 70,000 people. Their proportion in their native lands has collapsed because of the Iraq War, with most of the community relocating to nearby Iran, Syria, and Jordan. In 2011, Al Arabiya put the number of hidden and unaccounted for Iranian Mandaeans in Iran as high as 60,000. According to a 2009 article in The Holland Sentinel, the Mandaean community in Iran has also been dwindling, numbering between 5,000 and at most 10,000 people. Of the Mandaeans tallied in official numbers, many have formed diaspora communities outside the Middle East, especially Australia, where some 10,000 now reside, mainly around Sydney, representing 15% of the total world Mandaean population. Approximately 1,000 Iranian Mandaeans have emigrated to the United States since the US State Department in 2002 granted them protective refugee status, which was also later accorded to Iraqi Mandaeans in 2007. A community estimated at 2,500 members live in Worcester, Massachusetts, where they began settling in 2008. Most emigrated from Iraq. ^ a b Edmondo, Lupieri (2004). "Friar of Ignatius of Jesus (Carlo Leonelli) and the First "Scholarly" Book on Mandaeaism (1652)". ARAM Periodical. 16 (Mandaeans and Manichaeans): 25–46. ISSN 0959-4213. ^ Etudes mithriaques 1978 p545 Jacques Duchesne-Guillemin "The conviction of the leading Mandaean scholars – E. S. Drower, Kurt Rudolph, Rudolph Macuch – that Mandaeanism had a pre-Christian origin rests largely upon the subjective evaluation of parallels between Mandaean texts and the Gospel of John." ^ Iraqi minority group needs U.S. attention Archived 2007-10-25 at the Wayback Machine, Kai Thaler, Yale Daily News, 9 March 2007. ^ a b "Save the Gnostics" by Nathaniel Deutsch, 6 October 2007, New York Times. ^ Iraq's Mandaeans 'face extinction', Angus Crawford, BBC, 4 March 2007. ^ Lupieri, Edmundo (2001). The Mandaeans: The Last Gnostics. Wm. B. Eerdmans Publishing. p. 12. ISBN 9780802833501. Siouffi was a Syrian Christian who, having received a European education, entered the French diplomatic corps. ^ Häberl, Charles (2009). The Neo-Mandaic Dialect of Khorramshahr. Otto Harrassowitz Verlag. p. 18. ISBN 3447058749. In 1873, the French vice-consul in Mosul, a Syrian Christian by the name of Nicholas Siouffi, sought Mandaean informants in Baghdad without success. ^ Tavernier, J.-B. (1678). The Six Voyages of John Baptista Tavernier. Translated by Phillips, J. pp. 90–93. ^ "The Mandaeans: True descendents of ancient Babylonians". Nineveh.com. Retrieved 2011-12-17. ^ Eric Segelberg "Maşbūtā. Studies in the Ritual of the Mandæan Baptism, Uppsala, Sweden, 1958." ^ Drower, Ethel Stephana (1960). The secret Adam, a study of Nasoraean gnosis (PDF). London UK: Clarendon Press. xvi. Retrieved 19 February 2014. ^ Lupieri (2002), pp. 38–41. ^ Lupieri (2002), pp. 39–40, n. 43. ^ Lupieri (2002), p. 248. ^ Lupieri (2002), p. 116. ^ "Ginzā, der Schatz [microform] oder das grosse Buch der Mandäer : Ginzā : Free Download & Streaming : Internet Archive". Archive.org. 2001-03-10. Retrieved 2011-12-17. ^ "The Ginza Rba – Mandaean Scriptures". The Gnostic Society Library. Retrieved 2011-12-17. ^ Eric Segelberg, "The Ordination of the Mandæan tarmida and its Relation to Jewish and Early Christian Ordination Rites," (Studia patristica 10, 1970). ^ Contrera, Russell (8 August 2009). "Saving the people, killing the faith". Holland Sentinel. Archived from the original on 17 October 2015. ^ Khalil ‘ibn Ahmad (d. 786–787), who was in Basra before his death, wrote: "The Sabians believe they belong to the prophet Noah, they read Zaboor (see also Book of Psalms), and their religion looks like Christianity." He also states that "they worship the angels". ^ Chwolsohn, Die Sabier, 1856, I, 112; II, 543, cited by Salmon. ^ "Extracts from E. S. Drower, 'Mandaeans of Iraq and Iran'". Farvardyn.com. Archived from the original on 2011-12-04. Retrieved 2011-12-17. ^ Drower, Ethel Stephana (1960). The secret Adam, a study of Nasoraean gnosis (PDF). London UK: Clarendon Press. xvi. Archived (PDF) from the original on 6 March 2014. , p. xiv. ^ Ahmed Al-Sheati (6 December 2011). "Iran Mandaeans in exile following persecution". Al Arabiya News. Retrieved 17 December 2011. ^ MacQuarrie, Brian (13 August 2016). "Embraced by Worcester, Iraq's persecuted Mandaean refugees now seek 'anchor'—their own temple". The Boston Globe. Retrieved 19 August 2016. Lupieri, Edmondo. (Charles Hindley, trans.) 2002. The Mandaeans: The Last Gnostics. Grand Rapids, MI: Wm. B. Eerdmans Publishing Company. "A Brief Note on the Mandaeans: Their History, Religion and Mythology," Mandaean Society in America. Petermann, J. Heinrich. 2007 The Great Treasure of the Mandaeans (reprint of Thesaurus s. Liber Magni). Piscataway, NJ: Gorgias Press. Segelberg, Eric, 1970, "The Ordination of the Mandæan tarmida and its Relation to Jewish and Early Christian Ordination Rites," in Studia patristica 10. Eric Segelberg, Trāşa d-Tāga d-Śiślām Rabba. Studies in the rite called the Coronation of Śiślām Rabba. i: Zur Sprache und Literatur der Mandäer (Studia Mandaica 1.) Berlin & New York 1976. Segelberg, Eric, 1977, "Zidqa Brika and the Mandæan Problem. In Proceedings of the International Colloquium on Gnosticism. Ed. Geo Widengren and David Hellholm. Stockholm. Segelberg, Eric, 1978, "The pihta and mambuha Prayers. To the Question of the Liturgical Development amnong the Mandæans" in Gnosis. Festschrift für Hans Jonas. Göttingen. Segelberg, Eric, 1990, "Mandæan – Jewish – Christian. How does the Mandæan tradition relate to Jewish and Christian tradition? in: Segelberg, Gnostica Madaica Liturgica. (Acta Universitatis Upsaliensis. Historia Religionum 11.) Uppsala 1990. Yamauchi, Edwin. 2004. Gnostic Ethics and Mandaean Origins (reprint). Piscataway, NJ: Gorgias Press. 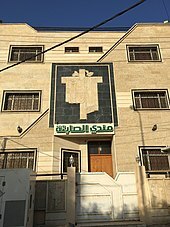 Mandaean Association Union – The Mandaean Association Union is an international federation which strives for unification of Mandaeans around the globe. Information in English and Arabic. Mandaean scriptures: Qolastā and Haran Gawaitha texts and fragments (note that the book titled Ginza Rba is not the Ginza Rba but is instead Qolastā, "The Canonical Prayerbook of the Mandaeans" as translated by E.S Drower). Gnostic John the Baptizer: Selections from the Mandæan John-Book: This is the complete 1924 edition of G.R.S. Mead's classic study of the Mandæan John-Book, containing excerpts from the scripture itself (in The Gnosis Archive collection – www.gnosis.org). Fragments of a Faith Forgotten by G. R. S. Mead a complete version (with old and new errors), contains information on Mani, Manichaeism, Elkasaites, Nasoraeans, Sabians and other "gnostic" groups. Published in 1901.